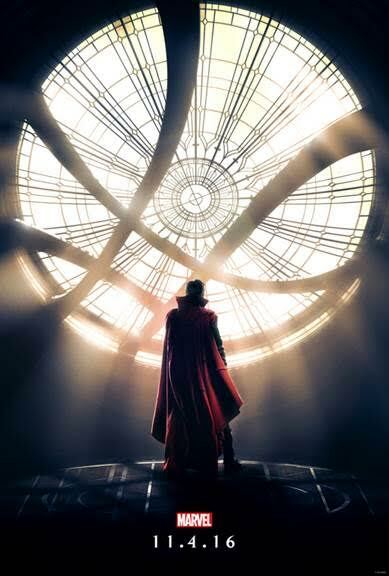 Marvel’s “Doctor Strange” wil be out in theaters nationwide on November 4th 2016. With the introduction of this unique Super Hero, vested with powerful magical powers and skills, the Marvel Cinematic Universe opens up a host of new, electrifying stories and exciting, mystifying, never-beforeseen action. The story follows world-famous neurosurgeon Dr. Stephen Strange, whose life changes forever after a horrific car accident robs him of the use of his hands. Marvel’s “Doctor Strange” was shot in London, New York, Kathmandu (Nepal) and Hong Kong. 21 sets were built for the shoot. There were many impressive, practical sets, including the largest set, The Kamar-Taj courtyard and street, which measured 160 ft. by 80 ft.
Award® winner Tilda Swinton (“Michael Clayton,” “Julia”). To research his character, Dr. Stephen Strange, Benedict Cumberbatch spent time with neurosurgeons, and the director, DP and production designer all visited New York City 2 operating rooms and emergency rooms to guide them towards the lighting and textures they would need to create a realistic hospital environment onscreen. On a New York City street, just before production wrapped on the last scene of the film, Cumberbatch entered a comic book shop to say hello and quickly the moment was captured with selfies that went viral around the world. This entry was posted in Entertainment, For Teens, Movies, Videos and tagged Comics, Marvel, movie trailer, movies. Bookmark the permalink.